Blacksheep's bit of the Web: A Very Merry Christmas!!!! ... Merry Christmas and a most prosperous and healthy New Year!!!! Merry Christmas to you and yours Edgar, wishing you a bountiful 2016! Merry Christmas and a happy new year to you from AriadnefromGreece! I hope Christmas was great for the whole crew! Hope your holiday was great Edgar and you enjoy a happy 2016! 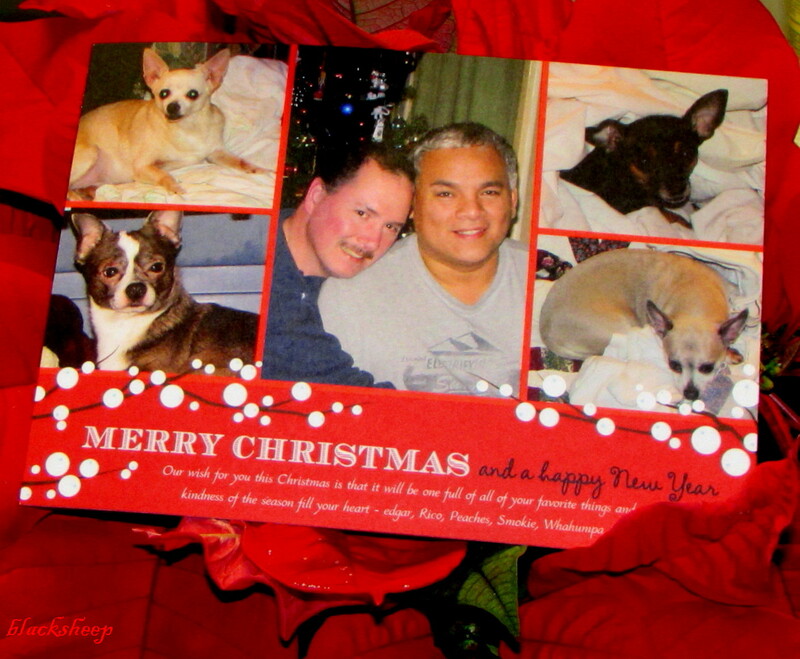 Wishing you, Rico, and the sweet who-hounds a Merry Christmas and a wonderful New Year. I hope you had a wonderful Christmas Edgar! Aww, Edgar, I haven't been on for several days so missed your post on actual Christmas Day. Love your card! Happy New Year! Thank you for all the wonderful sights you share around San Francisco! Wishing you and your's a wonderful New Year! I love checking in, from the other side of the country, Boston! But we also LOVE SF!!!! !